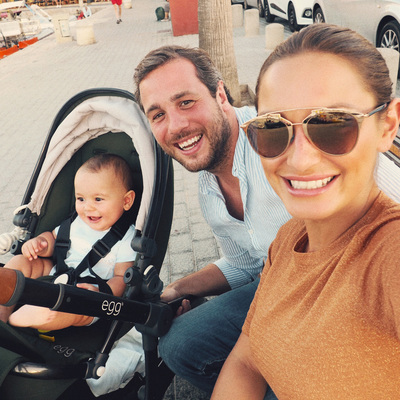 Back in June we were delighted when ITV called us asking if we could help #SamanthaFaiers introduce her son to Spanish! Sam was bilingual in English and Spanish as a child, but has lost some of her fluency over the years. She understands just how important it is to know a second language and how easily little children pick up new languages like sponges. everyone's imagination since the very start with #GabbyLogan's #bbc5live show attending our very first class! 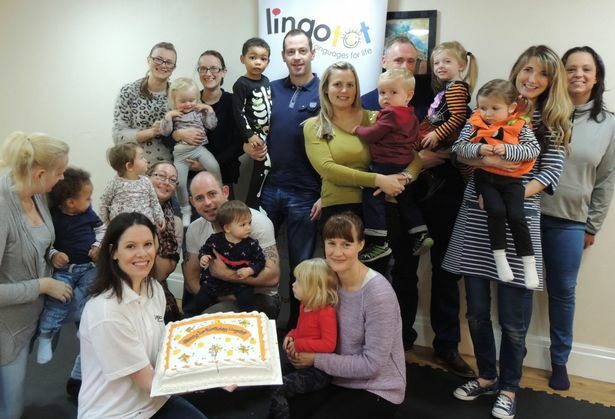 Since then Lingotot has grown into a multi award-winning education company delivering foreign language lessons to over 10,000 children every week. Sam knew she could trust us to really engage Paul and give some language-learning strategies to use at home, involving the whole family. So Michelle Marsland of #LingototNE delivered a special 1:1 session in Sam’s Essex home. She sang some our favourite songs with Sam and baby Paul, played some simple games in Spanish and shared some top tips for speaking Spanish at home. “Baby Paul was simply adorable. He is a real smiler and thoroughly enjoyed the session! Sam’s mother-in-law Gaynor was really enthusiastic too,” says Michelle, whose baby son James is exactly the same age as Paul. Michelle uses Spanish at home with James and he is responding to the language well, even saying his first word 'Hola' while waving last week! Tune in to #ITVBe tonight, 19th October at 21:00 to watch Michelle, Sam and baby Paul in action! We are sooooo excited! Lingotot is set to star in ITV’s eagerly anticipated Sam Faiers; The Mummy Diaries. The six week series which follows the day to day life of the hugely popular reality TV star as she finds her feet as a mother to baby Paul will feature a Spanish Lingotot class inside the young mum’s home. Lingotot, which provides children’s language classes for pre-school and primary school aged children, was invited to help introduce the Spanish language to her nine month old son. 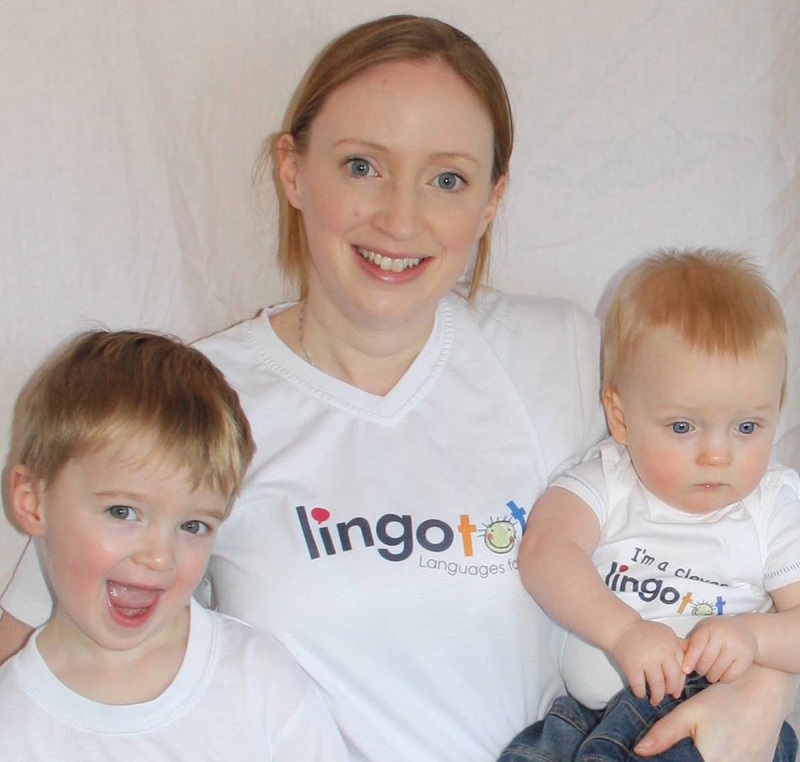 Sam, 25 who herself lived her early years in Spain and once spoke the language fluently is keen that her young son be exposed to a second language from a very early age and called upon the Lingotot team to help. An hour-long session was filmed for the camera and based on a typical pre-school community class the class was filled with songs and actions, bringing huge smiles of delight to the faces of both baby Paul’s and the former TOWIE star. But far from performing only for the camera, Sam has been keen to continue the classes and Lingotot has returned to her home to deliver additional support. Lingotot helps thousands of children each week to develop a love for learning a foreign language, delivering sessions in French, Spanish, German, Chinese and Arabic. The award winning classes have been designed to engage children as young as a few weeks with age appropriate songs, actions, drama and vocabulary. 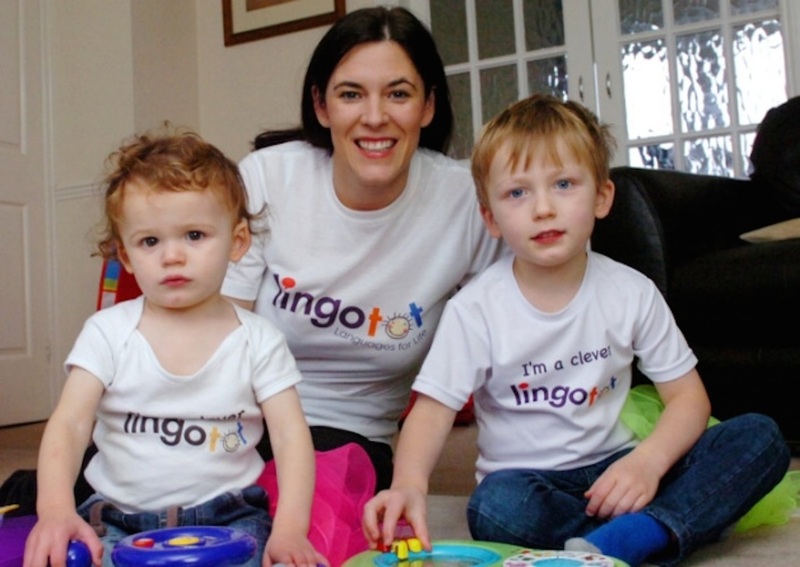 Angela Sterling, Lingotot founder said: “It is never too soon to start and teach a child a foreign language. Between birth and five years of age, the human brain is hard-wired for learning multiple languages. After age five, this critical window begins to close and it gets much harder to acquire a new language and a good accent. “Babies’ and young children’s brains are like sponges and people are always amazed by what they take in. Often some of the first words of the young babies who come to our classes are in the target language and are used in context. The six week series is being shown on ITV Be on Wednesday evenings from 12th October. 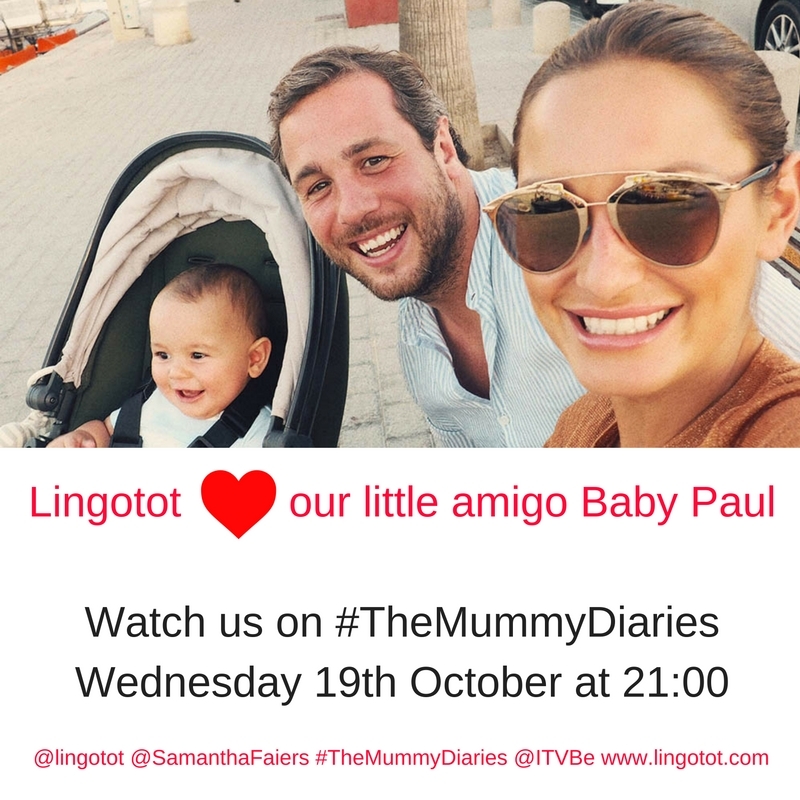 Tune to episode 2 at 21:00 on Wednesday 19th October to see Lingotot, Sam and baby Paulin action. Lingotot children all over the country sang the Hokey Cokey in French, Spanish and German to show us that we are all European regardless of the referendum result. 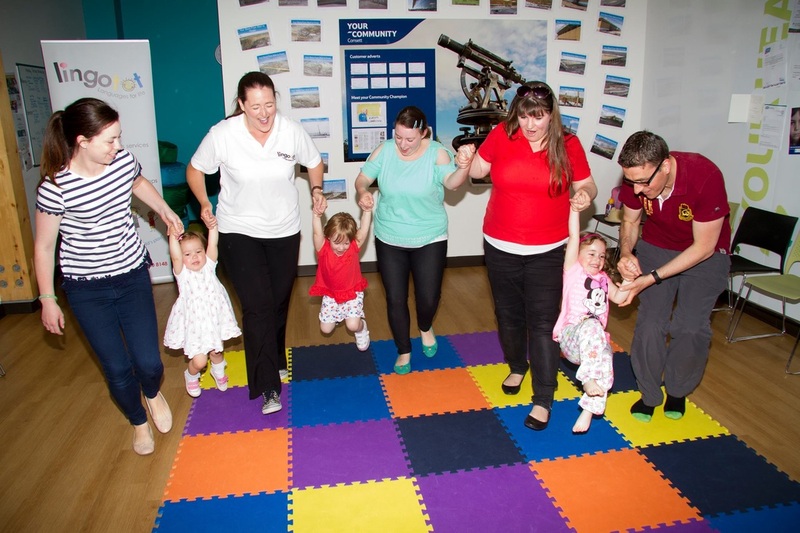 Nearly 10,000 Lingotot students and their parents and carers in classes at community centres, church halls, nurseries, schools and shopping centres up and down the UK, all sang the children’s favourite party song in at least two European languages. The Lingotot franchisees came together to organise the mass Hokey Cokey as a fun way to highlight that we are all still European. There is a large and growing number of youngsters in the UK who learn modern foreign languages from a very early age. There is increasing evidence to suggest that the younger a child starts to learn a second language the more success they will have which is supported by Government legislation which in 2014 made modern foreign languages a compulsory part of the KS2 curriculum in primary schools across England and Wales. On Friday, Boris Johnson reaffirmed the Leave campaign's stance on children' language learning. He said, "We cannot turn our backs on Europe we are part of Europe. Our children and our grandchildren will continue to have a wonderful future as Europeans, travelling to the continent, understanding the languages and cultures that make up our common European civilisation, continuing to interact with the peoples of other countries in a way that is open and friendly and outward-looking." 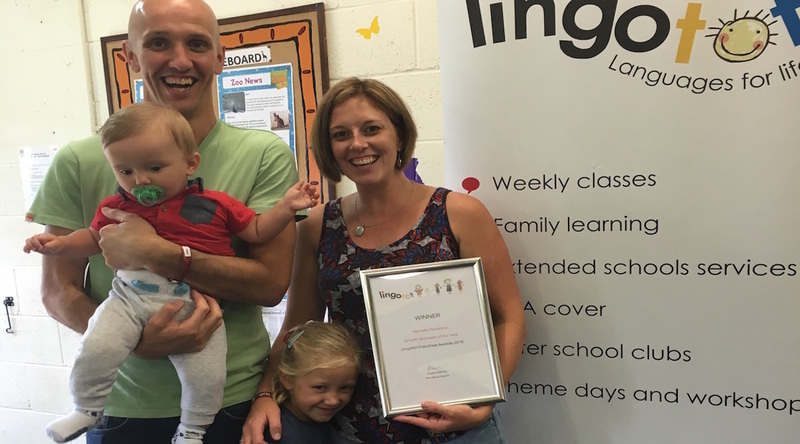 Children from six months old to 11 years old take part in the Lingotot classes in community venues and within schools across the UK. Congratulations to Abigail of Lingotot Teesside! 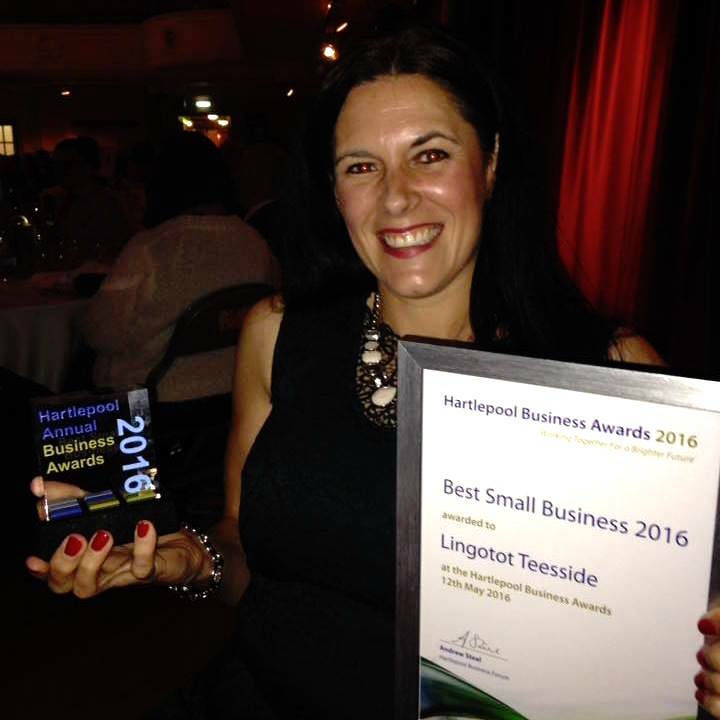 Our very own Abigail Curtis has won the Best Small Business Award in a glittering ceremony hosted by Hartlepool Business Forum. The prestigious Awards Dinner was held at the Borough Hall, Hartlepool on Thursday, May 12th, 2016. Abigail runs her Lingotot Teesside business while juggling her young family and career as a Process Engineer. The award comes after trebling the size of her business. 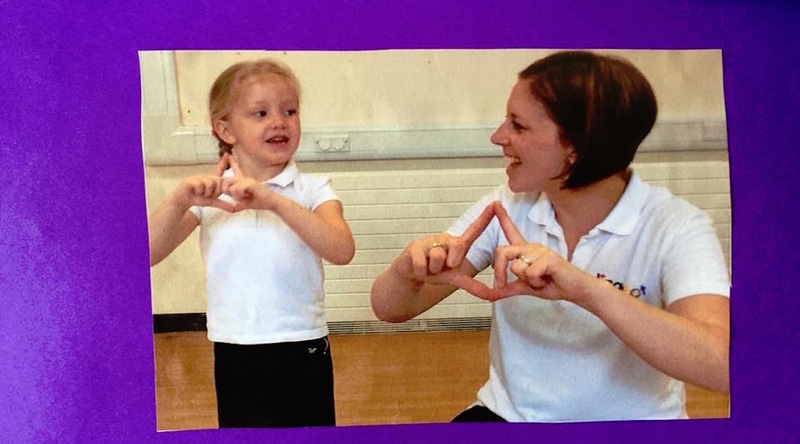 You can find Abigail's Lingotot classes in Hartlepool, Sedgefield, Stockton, Norton and Newton Aycliffe. 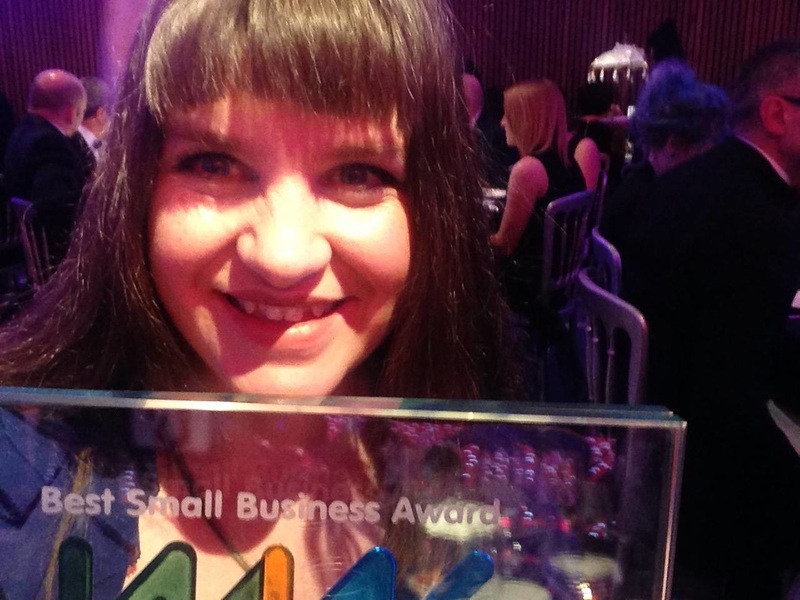 We couldn't be prouder of Abigail and her achievements here at Lingotot HQ! Lingotot, the nation-wide modern foreign language education provider has become the first organisation of its kind to receive official accreditation for its courses within primary schools. Lingotot’s MFL programme for primary schools has been accredited by national awarding organisation NCFE to provide formal recognition to the thousands of students who complete its courses each year. schools, who often have no foreign language expertise, have increasingly turned to external providers to deliver their MFL programmes. However to date, students successfully completing such programmes have been unable to receive formal recognition for their achievements. The Lingotot accredited programme, which has been benchmarked at entry level 1,2 and 3 has been welcomed by primary schools across the country who can now officially recognise the efforts and achievements of their pupils. 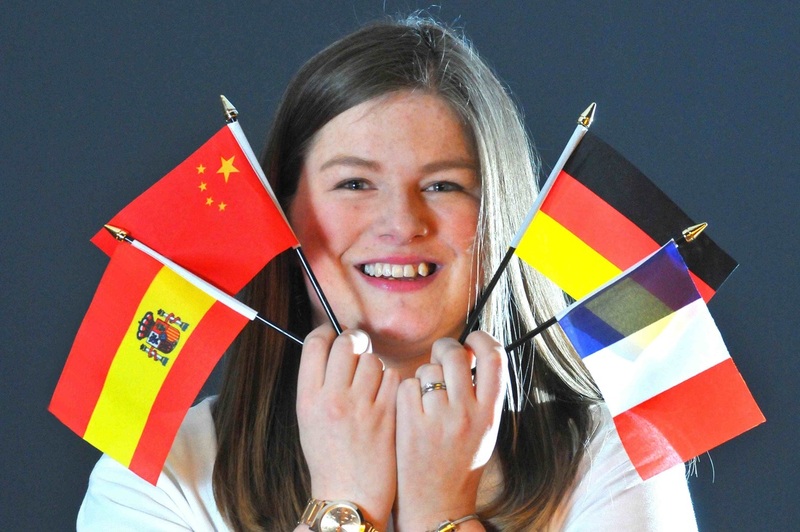 Angela Sterling, former foreign languages teacher and founder of Lingotot added: “This is great news for the teaching of MFL in primary schools. If the government is serious about engaging children at a younger age – which language professionals fully endorse – it is essential that there is an obvious pathway for progression. NCFE is the UK’s longest established awarding body and is respected for its professionalism and quality. 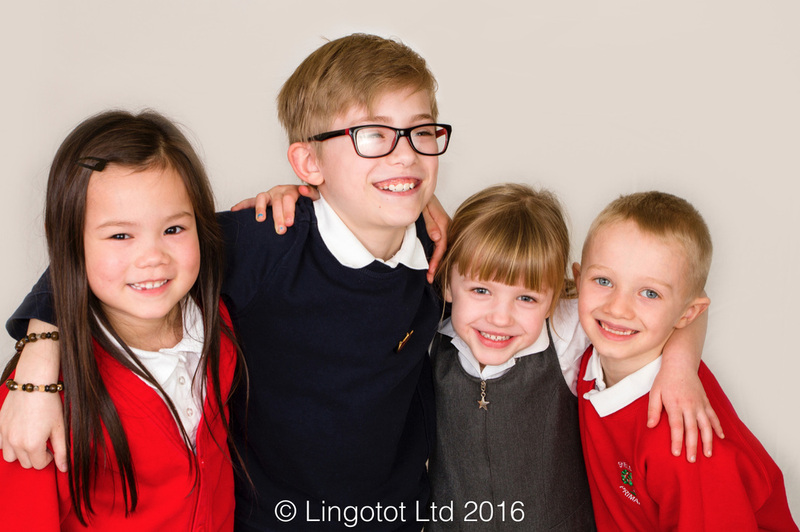 Established in 2010 in the north east, Lingotot now engages with more than 10,000 pre-school and primary-school children across the country each week, learning a variety of languages including French, German, Spanish and Mandarin. Bonjour! Hola! Guten Tag! 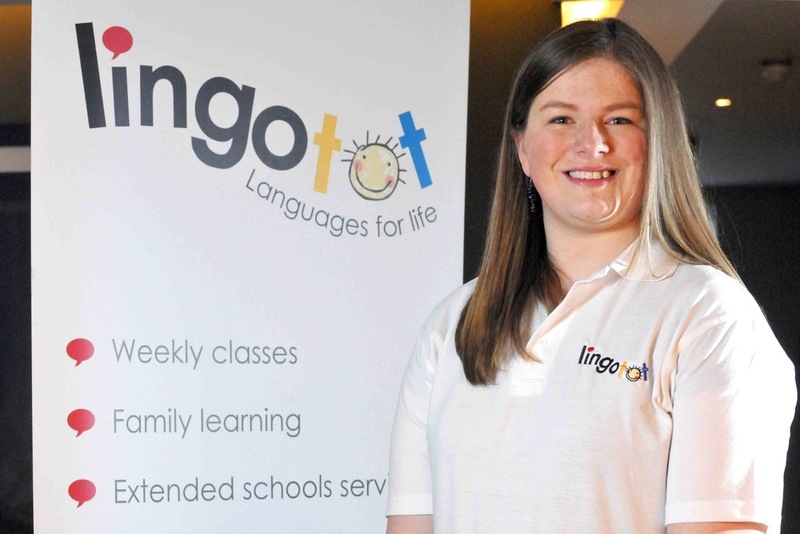 My name is Anne and I run Lingotot classes throughout South Tyneside. I’m married to Adam and we’re South Tyneside born and bred. We live with our 'little man’ Alex, who is 8 months old as I write (born May last year) and our Beagle Rocky. I’ve always loved learning languages, ever since I went to French club in junior school. Thanks to languages I have had the opportunity to visit some amazing places and meet some fantastic people. I have memories to last a lifetime and I want to help other people to get out there and explore languages too. Currently I’m a teacher in a secondary school, so I know how important it is for children to get a head-start in languages. I’ve also taught pupils in junior school and I absolutely love teaching younger children languages, because they’re not too old to dance, sing and be a bit silly. Now that we have Alex in our lives, we’ve been going to lots of lovely baby groups, but nothing offers what Lingotot provides. The opportunity came up for me to teach Lingotot in South Tyneside and I couldn’t resist. What can I say? I just love teaching languages! I run sessions throughout South Tyneside: in Hebburn, Jarrow, Boldon and South Shields. These can take place in spaces such as community centres, church halls, nurseries, primary schools, soft-play areas etc. 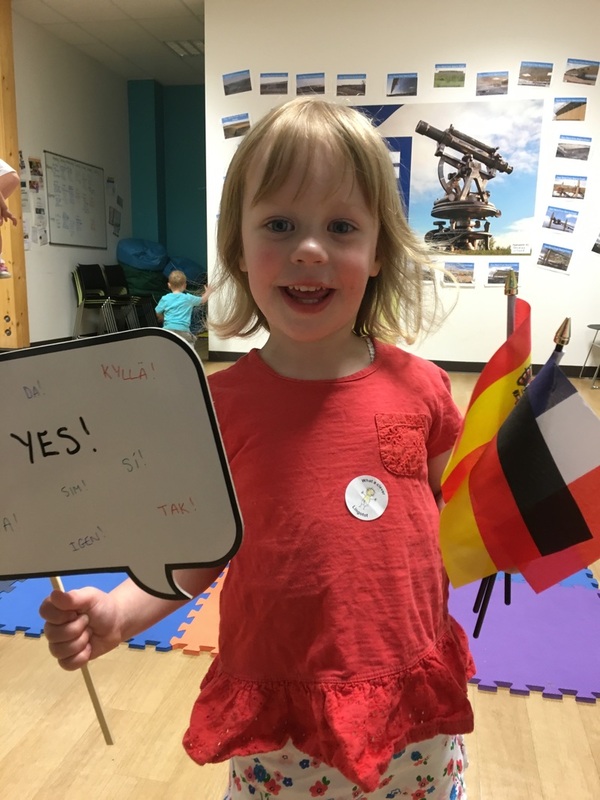 Classes are taught almost entirely in French, Spanish or German, which means that you and your child will be listening and picking up language together through songs, games, stories and crafts, without even realising it! I can even provide Lingotot birthday parties for a fun and memorable experience for your little ones. 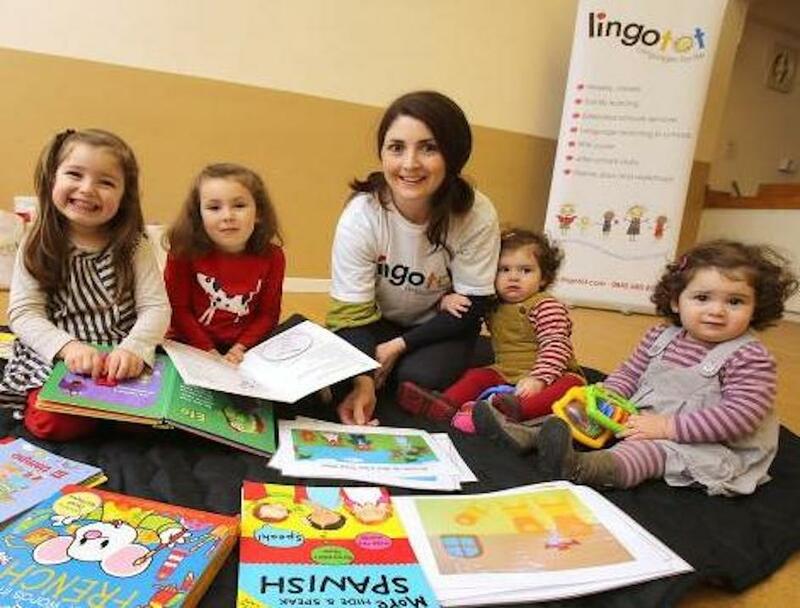 Lingotot is suitable for babies, toddlers and children are all welcome to come along with their parents/carers. My favourite Lingotot song is the Boogie Woogie (The Hokey Cokey). It reminds me of Christmas parties when I was a little girl and it’s great fun. I’m looking forward to seeing you soon at one of my classes. If you have any questions, just get in touch! Au revoir! Adios! Auf Wiedersehen! ...we LOVE him and we think you will too! This is the wonderful Roberto singing the Hokey Cokey in Spanish. He teaches Lingotot classes in Newcastle and North Tyneside. Why not visit our website and join one of his classes? What a fantastic year we've had with awards! We have been listed as one of the Mumpreneur 100. And better still, we are super proud to let you all know that we won the award for Best Small Business at the WIN Awards 2015. This was the 16th year of the prestigious award ceremony where female businesses had the chance to showcase their hard work and achievements during the previous twelve months. The ceremony was at the newly-opened Crown Plaza Hotel in Newcastle - a stunning venue! After winning in the Best Home-Based Business category last year we genuinely thought we were out for a lovely meal and some good conversation. We were genuinely shocked when our name was called out as the winners! You can read more about the evening in The Journal newspaper. Thank you to everyone at WIN for your continued support and a top-notch evening. As a mum to two young children I don't get to pop on my dancing shoes very often, so very much appreciated!